For those who do not know, Malta is an island at the heart of the Mediterranean Sea, not far from Sicily and not far from Tunisia and Libya in North Africa. A democratic republic of which population is rapidly rising to half a million, allocated to a land space area of only 316 km2. The islands are mostly known for being a tourism hotspot, attracting millions of tourists a year with the main motivation being that it is an ideal summer destination consisting of a vast array of leisure options supplemented with relatively cheap pricing (2.5 million tourists were expected in 2018 according to the Malta Tourism Authority). The islands have been used as a port and medical base throughout its history and to this day, a certain affluent embrace of its past purpose can be witnessed from its current industry. A culture that has been formed by numerous foreign power annexations, the islands emit a unique and interesting personality. It is clearly noticeable, the North African, Italian and English influences in the language, architecture and cuisine. The language itself is of a Semitic base with an extra twist. It is a descendant of a dialect of Arabic, called ‘Siculo-Arabic’ but it diverged to form its own path along the centuries, integrating more of a romance language derived vocabulary opposite to its Arabic syntax and grammar which covers a third of the overall Maltese vocabulary compared to Italian which covers about a half. Some French and English elements can be traced from within the language as well and a large portion of the Maltese population is bilingual and a considerable amount of the overall population is trilingual. After the 2nd World War, Malta lost value in its strategic importance. 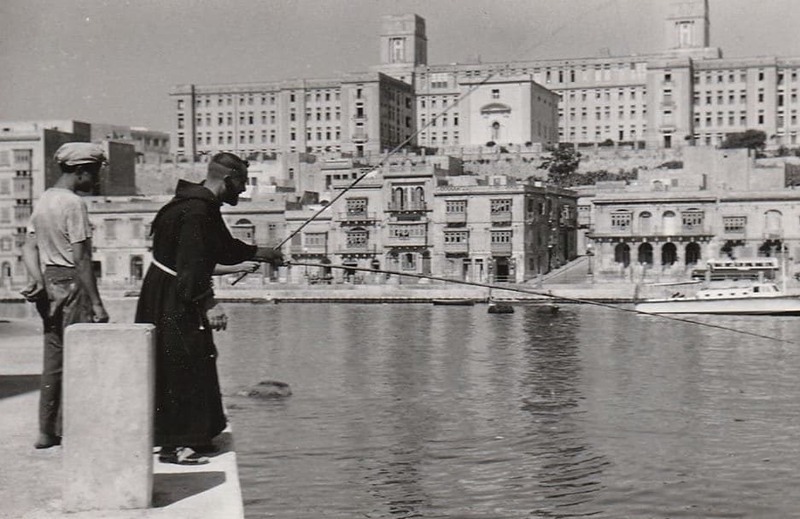 When Malta obtained independence in 1964, there was little economic activity, leading to a desperate population, but efforts were being made to propel the tourism and manufacturing industries, ultimately leading to good results. Up to this day, the economy has been experiencing fast growth and the future is bright for the Maltese population. The average wage in Malta has increased to €19,076/year in the 3rd quarter of 2018 which is the highest it’s ever been as well as an increase of 6.8 percent in employment compared to 2017, according to the Information and Communication sector (Table 3). According to statistics from NSO, unemployment also has decreased to 3.7 percent in the same period which is the lowest it’s ever been. Over half the Maltese population has successfully managed to complete upper secondary or tertiary education allowing for an improved quality of life and individual within the islands. Following the 2008 financial crisis, Malta proved to be resilient and adaptable to changing economic climates and continue economic progress and maintain an increasing population. Malta is not a rich country when taking to play natural resource supply. It is a barren landscape with a limited fresh water supply and it tops the lists for population density. Malta only manages to produce 20 percent of the food requirements and therefore has a heavy dependency on foreign trade to maintain its population. Albeit the limited resources, the island has a thriving economy driven by tourism, iGaming, financial services, real estate, manufacturing industries and has a fast-growing population. Over the last decade, Malta has been shifting away from manufacturing activities and focusing more on services. The latest sectors that are contributing to overall growth have been Information Technology, financial services and other professional knowledge-based sectors. One of the more hyped up industries, the online gambling industry or simply iGaming has been a driving force for recent economic and population change. The iGaming industry contributed to 13 percent of the total economic GVA, an increase of 10 percent compared to that of early 2016. The industry as of the 1st quarter of 2018 made up 12 percent of the economy and employed over 9,000 individuals of which are many of the Maltese population whilst generating over 700 million euro and being one of the driving reasons for the increase in foreign population. Another player joining the fold is the Information and Communication sector (ICT). 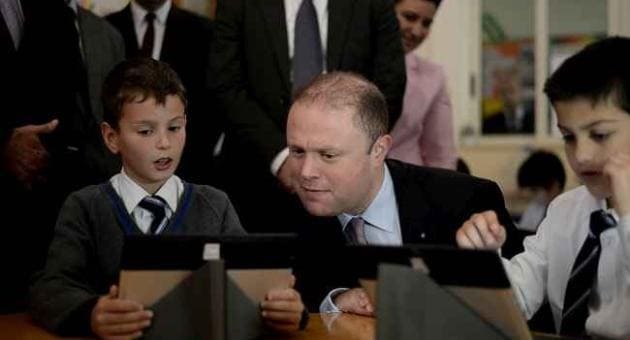 The Maltese ICT sector is still at a developing stage being relatively young compared to the more robust sectors. The sector has progressed to represent 6.6 percent of the GVA (Gross Value Added) in 2017, compared to 5.8 percent of the previous year. The industry contains over 300 companies where over 7,000+ people are employed, and these numbers are constantly growing. It is to be noted that the change of the ICT sector includes having the highest average salary as of late 2018. To supplement the change of this sector, Malta also obtained one of the highest shares of ICT graduates in the EU, according to Eurostat. 8.5 percent of graduate students obtained an ICT related degree compared to 3.5 percent which is the EU average. However, albeit the national talent generated, an increase in ICT workforce population is needed to sustain the economic growth rate. There are over 270 iGaming companies operating inside the islands, some of which include gambling powerhouses Betsson, Paddy Power, Betfair, Interwetten, Unibet, Tipico and Betclic, to name a few. The most successful one being Swedish company Betsson. 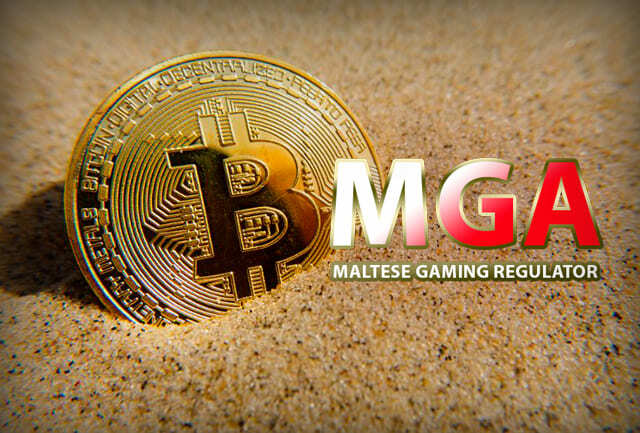 In total, some 280 companies have licenses from the Malta Gaming Authority (MTA) for online services such as sportsbooks, casino games, etc. The Maltese iGaming ecosystem is unique and original by being internationally diverse, attracting people from all around the globe, paving way for a clustering of talent and energy in a compact area and allowing for the formation of unique personal and professional networks. The success iGaming has been facing can be boiled down to the rising population. The industry itself attracts all sorts of professionals ranging from lawyers, accountants, data analysts, data scientists, software developers and project managers. It is a vision worked upon at this moment for Malta to become the Silicon Valley of the iGaming industry for betterment of the Maltese population. The introduction of blockchain or better described as a form of Distributed Ledger Technology (DLT) may potentially be integrated with the Maltese iGaming industry for improved security and transparency. 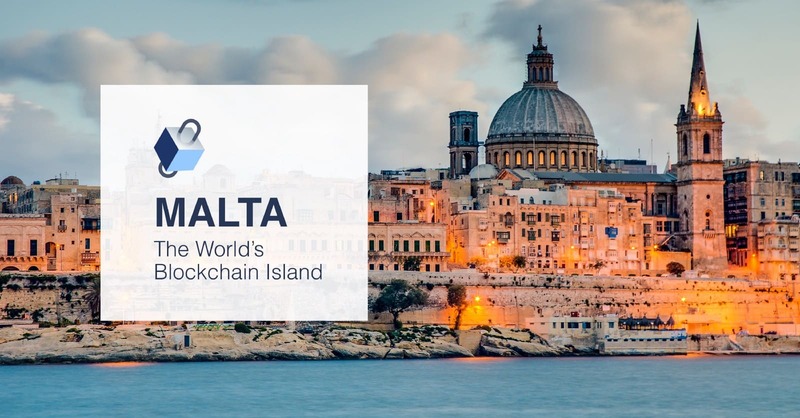 Malta is already looking in depth at the potential use of these technologies, being hailed already as the ‘blockchain hub of the world’. Many Maltese academics are undertaking research towards possible coherent usage and integration of smart contracts, blockchain and Internet of Things (IoT) in industry. The Malta A.I. & Blockchain Summit is generating a lot of hype, bringing together a lot of famous investors, CEO’s and scientists in discussion of supporting business in Artificial Intelligence and the potential for positive change of such applications of which the Maltese population can benefit greatly. When describing the fundamentals of Malta’s cryptocurrency revolution, it is necessary to distinguish the difference between ‘blockchain’ and ‘distributed ledger technology’ (DLT) in general. Distributed ledger technology is a technology that is used to distribute records and information among the individuals that use it. Blockchain is a form of DLT, the most popular form of DLT as a matter of fact. Why Blockchain, Why now? Why Malta? The problem with companies today, especially after the Facebook/Cambridge Analytica scandal is that there is a lot of private information stored in their hubs, if a cyber-attack were to take place, a lot of sensitive data comes to risk of being exposed to the wrong people and sold for massive profits in the black market. The introduction of DLT’s such as blockchain would allow users to regain their Identity on the web by allowing each user on the network to manage their own personal information. The possible and discussed integration of blockchain and IoT would allow for a simple infrastructure where devices can send data or money conjointly while allowing the decentralized autonomous function of devices in a very reliable manner, paving way for an improved change in environment for the Maltese and foreign population alike. How can iGaming operators and other companies in Malta take advantage of this new technology? As decentralization entails elimination of intermediary intervention, some novel form of data processing needs to be intertwined with the overall system. A concept was formulated by the cryptographer Nick Szabo in 1994 that would allow for regular legal contracts to be converted to executable computer code, stored on the network and would be supervised by the network of nodes that run the blockchain. The concept was called ‘Smart Contracts’ for their ability to self-execute when necessary, allowing automation to take over a very costly part of what companies and institutions need to implement. The vision of Smart Contracts came to fruition when Ethereum was launched, eventually progressing to become the 2nd largest blockchain in the world. As of now, no licensing has been granted by the MGA to incorporate blockchain with any iGaming activity. The MGA only supports as of now, the experimental use of a partial blockchain environment as to test the technology’s practicality and to judge its potential. An application of DLT in an iGaming environment would create a clear record of all transactions, plays and bets by all involved members/players. The clear digital documentation would allow for a straightforward investigation in case some claims are made regarding a service. DLT’s would also allow validation and verification of all transactions which would simplify the operator’s responsibility to play along the money laundering and data regulation laws and protocols. A proof of work would also be carried out throughout the network of nodes that make up the blockchain, any attempts to change already existing data without consent would be nullified. The integration of these technologies will mean a lot for recruitment. New opportunities within the Tech and Finance industries will emerge, job requirements will change and a lot of demand for professional practitioners will arise, especially for software developers. Different domains will intersect, allowing individuals to expand their knowledge and professional network, creating a more diverse working population when viewed from a professional perspective. The population should keep increasing due to more foreigners coming to Malta for work opportunities and since Malta is a small country, it can only produce so much local talent. The import of foreign talent will benefit the Maltese economy in general and it’s easy to imagine how other sectors will benefit from this ongoing and ever-growing influx especially the real estate sector. How can the Maltese population benefit from these new technologies? Apart from a more competitive economy, more interesting and diverse job openings would be created of which would be up for grabs for the Maltese population. The change in technology can be used to generate more resources for the population whilst paving way for a better education for the population. It is also no secret that countries with an advanced ICT sector are known to have some of the best education systems in the world, just look at Finland, Norway and South Korea as examples. According to the NSO, as of late 2017, the population stood at 475,701 which was a 3.3 percent increase compared to 2016. The population increase was noticed to be mainly due to net migration. Detailed reports also show that the population will increase by nearly 40,000 by 2055 with the major player being migration as well. Compared to 2014, the population had grown by 36,000 according to Eurostat. How significant is the foreign population in Malta? The growing economy is fulfilling its labour demands by allowing an influx of immigrant population to settle in the island. It is noted that over 43,000 foreign workers are in Malta and plans are being made to bring in thousands more from non-EU countries, the most significant being Serbia and Montenegro. The way it works is simple, job positions open, Maltese workers are given priority, but the openings outweigh Maltese talent and applicants by far. Although there is a large volume of incoming workers, most do not stay for long so it’s a priority for the islands to maintain steady influx of foreign workers, in fact only 10 percent of the thousands that arrived in 2010 remain in Malta. Most of the incoming foreign population usually settle around the less urban areas where usually the most opportunities arise. The most developed and densely populated area is the Northern Harbour where the more commercial businesses are based. Is Malta reaching its population limits? 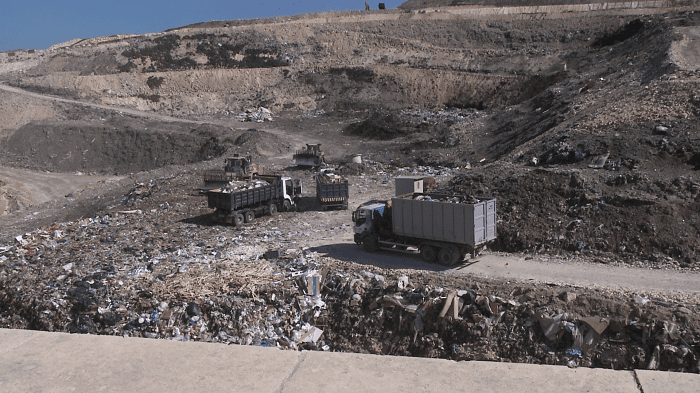 A lot of concerns are being raised over Malta’s current environmental situation. The country, apart from being the smallest country in the EU, is one of the most densely populated countries in the world and is registering one of the highest populations increase in the EU. As of 2018, the islands registered a 3.4 percent increase from the start of 2017 and is housing about 1,265 inhabitants per square kilometre while in urban areas, its 4,550 per square kilometre. The Maltese population change was noted to be steady, around 400,000. The population increase was entirely noted to be of foreigners settling into the islands. A lot of doubts are arising on whether if Malta is prepared for the occurring economic growth. One of the glaring side effects of this economic boom is the improper waste management. These problems can be broken down to high population density, limited urban land space and lack of initiatives. Landfills are also approaching their limits, leaving officials to ponder alternative methods of waste management. It is noted that nearly 90 percent of all waste goes to the landfills and only 8 percent is being recycled, coming at risk of missing the 2020 waste recycling target and ranking one of the highest EU states in waste generated per inhabitant. 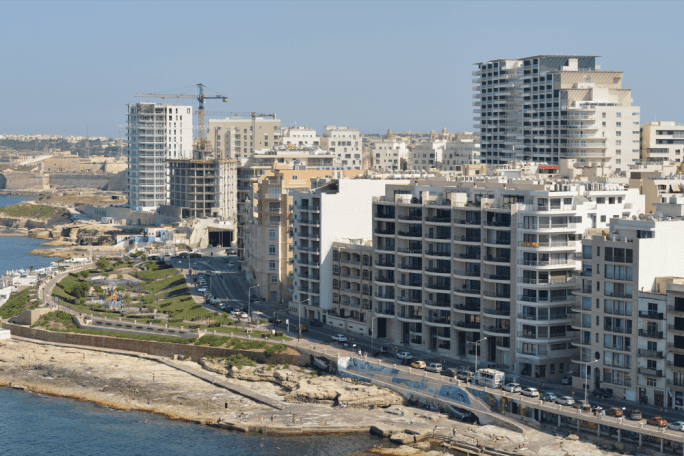 A lot of Malta’s urban spaces in the Northern and Southern Harbours have been degraded in choice of apartment buildings and garages leading to a very uncontrolled urban development simply to accommodate the influx of the incoming foreign population. It takes common sense to realize that no economic ascension will take away our dependency on nature. It is safe to say that the property market is doing very well in Malta and Gozo. A lot of developers are pouncing on the opportunities to develop further to take advantage of the overwhelming demand for accommodation, but the market is at a delicate stage. A lot of people are diving head first into the property construction boom in hopes of making their fortune but unfortunately many enter this situation with false expectations, and a lot of sellers may be demanding for more money than necessary or expected. The prices should dial down to a more justified state naturally while buyers will have more options to choose from and so sellers overall will have to dim their financial intake expectations from there on out which is a win-win for all parties involved. Is it worth investing in Malta? It is always considered a worthy investment to develop or invest in property mainly due to its tangibility, the property one develops will always be worth something since it can't expire. The construction boom is occurring at this instance in Malta and although most would think that the value of property will keep on rising, this will not be the result if a lot of property is put in the market all at once. Overall, the country is very economically secure, with a very good credit rating, and a large banking sector, so why not invest? The main reason for the construction boom can be narrowed down to opportunistic people wanting to build or buy property with hopes of renting spaces to incoming foreign workers. The problem is that although many of these foreigners seem to have a high enough salary to manage their accommodation fees quite easily, many barely seem to afford rent. The many who have a hard time managing their accommodation needs, usually either downsize to smaller apartments, share an apartment with others or one favourite is to move to less developed areas in hopes of cheaper rent fees, but will ultimately lead to more transportation costs and extra travel time. Albeit the high cost rent, a lot of developers are sensible enough in developing properties in somewhat urban, outlying areas that are not too far from the main action whilst demanding reasonable prices which in turn allows many of the foreign population with the lesser income to be taken care of, and in general allows for a more straightforward settling of the foreign population. As mentioned before, there are more developed areas in Malta where the cost of renting and buying properties is of a significant higher financial demand. Some of these areas are Valletta, Sliema, St. Julian’s, Gzira etc. These areas are populated with businesses, restaurants, bars, company HQ’s and are in general very lively with a lot of things to do, and with a lot of money circling around. Some less developed areas with cheaper rent fees but still very close to the main business attractions are Mosta, Gudja, Qormi, Naxxar, etc. For example, a 3-bedroom, fully furnished apartment in Sliema & St. Julian’s can easily be around €1500-€3000/month but in many cases a decent 2-bedroom apartment in the same area can go for around €1200/month depending on what the buyer is looking for. In outlying areas but still very close to the action are Pietà, Msida, Ta’ Xbiex, Birkirkara and Floriana, to name a few, all near the Western Harbour. These areas are more residential with the majority of the population being Maltese and usually have a more peaceful feel whilst not being too far away from the main areas of attraction. A 3-bedroom apartment can easily go for €1000/month whilst never being further then 20-30 minutes away from Sliema & St Julian’s. Many of the foreign population usually move in with other people and the financial load is split accordingly and so many can manage to sustain their accommodation fees at a quite relaxed pace but having said that, accommodation in Malta can be a hassle if homework isn’t done right. It is suggested that you check out our article about Long Term Rental Guidance as to be informed properly. If you were to ask tourists or foreigners in Malta about their reason of visiting or moving to Malta, usually the answer is the same, the ‘sun’ and the ‘beaches’. It is clearly noticeable that the Maltese lifestyle and nightlife, like other Southern European cultures, is very casual and relaxed. According to the state of health in the EU, Maltese citizens spend 90 percent of their lifespan in good health, higher than any other EU nation whilst enjoying 300 days of sunshine throughout the year. 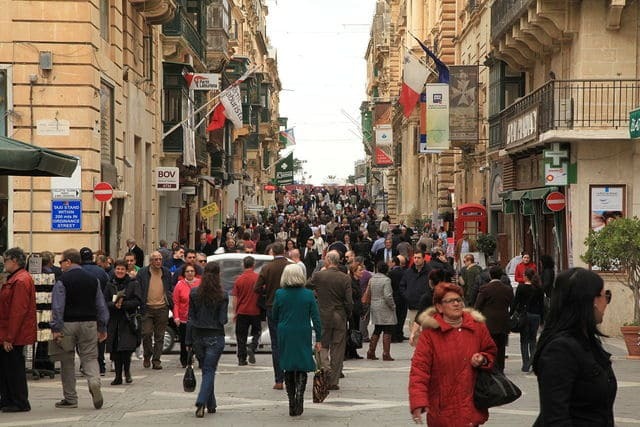 The average lifespan of the Maltese population was noted to be 82 years, an average of 80 years for males and an average of 84 years for females and the country also ranks for having one of the lowest suicide rates in the EU. 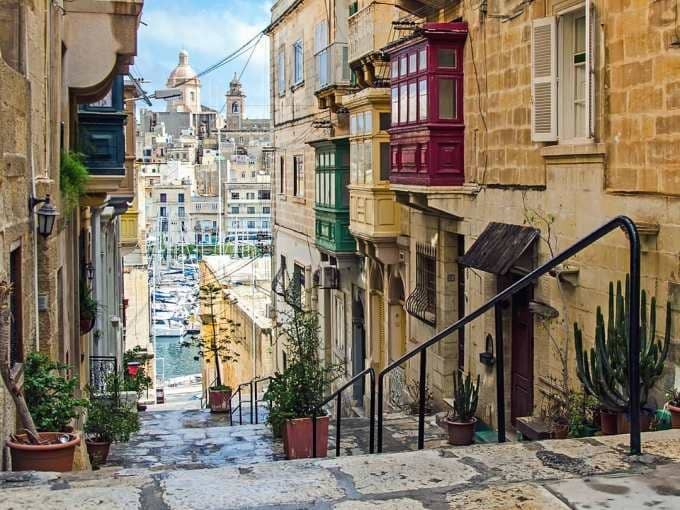 According to World Risk Report, Malta ranked as the 2nd safest country in the world due to the very slim chances and records of murder, infrastructure susceptibility and natural disasters. According to Numbeo, an independent research centre, Malta ranks as having the 2nd best healthcare system in Europe, behind France. Malta offers free healthcare not only to its citizens but to EU citizens in general, paying homage to its history of hospitality, being a medical base for allies and Christians during the 2nd World War and the Crusades. Most of the Maltese population can speak English, noted to be around 88 percent while 66 percent can also speak Italian, and more than 17 percent can speak French so it’s not uncommon to meet trilingual people in the country. The energy in Malta is always buzzing, the population enjoys a vast array of different activities or events to choose from for all ages, especially during the summer. The islands come to life during the summer with regular village feasts almost every other week and exciting firework displays. The Maltese cuisine is a typical Mediterranean style diet with an assortment of unique dishes of which include pastizzi, torta tal-lampuki, bigill’, stuffat tal-fenek, etc. A meal for one at an inexpensive restaurant can cost around €12 while a three-course meal for two people at a mid-range restaurant can cost up to €50. A cappuccino or other kinds of coffee can cost between €1.50-2.50 and a 0.5 litre bottle of water can cost up to €1.00. Very fair pricing overall. A large choice of beaches situated all around the islands, some of which include Blue Lagoon in Comino, Armier Bay in Mellieha and Dwejra in Gozo. Malta’s tax rates are favourable when compared to other countries, but it is to be noted that on the first 183 days, foreigners who settle in Malta will have to deal with a higher tax rate which would then be refunded via a tax rebate. More information regarding Malta Bank Financing can be obtained from our site. EU citizens can freely work and live in Malta without the need of a Visa whilst there are certain procedures and protocols to allow non-EU citizens into the country. Setting a bank account is straight forward, all is required is some form of identification, a letter of reference either from employer or bank and a deposit to kickstart the account. 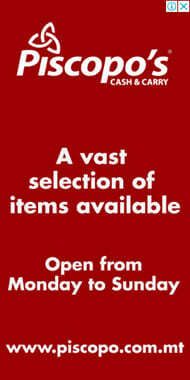 There are plenty of national and international banks to choose from, research on which is most suitable is ideal.